Kendall is a durable, stylish backpack that protects your belongings 24/7. Kendall has a padded pad compartment to protect your laptop or tablet, with multiple compartments to help you organize your personal belongings in your backpack. 【Limited Time Offer】 Limited time 30% off, don't miss it! Kendall is a durable, stylish backpack that protects your belongings 24/7. Kendall has a padded pad compartment to protect your laptop or tablet, with multiple compartments to help you organize your personal belongings in your backpack. The designer carefully adds Kendall's padded shoulder strap to minimize the burden on your shoulders, and the bag weighs only 445 grams, even if you have to deal with a full day of travel. Want to take a photo with the camera and have a good time, leaving a good time? Bringing our other series of CASEY camera liners, Kendall immediately turns into a camera backpack, making you a good partner for a moment. https://c1.staticflickr.com/1/347/32588306302_fd4f384cd5_c.jpg https://c1.staticflickr.com/1/633/32618250381_aa9e8a370b_c.jpg https://c1.staticflickr.com/1/435/31898739084_df8216fd97_c.jpg https://c1.staticflickr.com/1/578/32588306072_7a7641228e_c.jpg https://c1.staticflickr.com/1/334/32588305842_17f7ccef4a_c.jpg https://c1.staticflickr.com/1/359/32741910605_3643c2f7e3_c.jpg ◤◤Product details◢◢ K The Kendall backpack weighs only 445 grams. The main body is made of high-grade water-repellent nylon cloth, and the contrast material design is simple and unique. https://c1.staticflickr.com/1/356/31606816553_9c83f87072_b.jpg 插 There are pockets on both sides of the backpack for easy access to umbrellas or other items. https://c1.staticflickr.com/1/501/31575407084_05180894a8_b.jpg 内置 The strap has a built-in thick pad to reduce shoulder load. Even if you want to bring a heavier or more item out, the shoulder burden will not be too heavy. 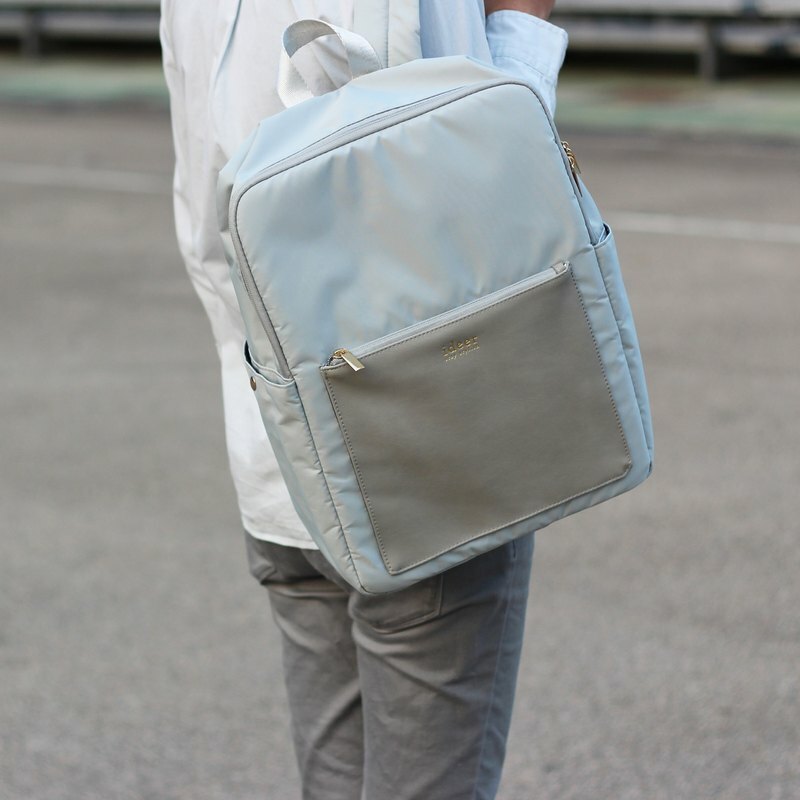 https://c1.staticflickr.com/1/497/31517210394_ef9110777e_b.jpg ◢ The inner pocket of the special anti-collision pad can hold 15吋 notebook computer to protect all valuable equipment in all aspects. https://c1.staticflickr.com/1/264/31437988764_332b5a7b35_b.jpg capacity 20 liters 15" Macbook Pro in the collision compartment Dimensions (W x X x H) 280 x 130 x 380 mm materials Waterproof nylon cloth Weight: 445 grams . . . . . . . . . . . . . . . . . . . . . . . . . . https://c1.staticflickr.com/1/492/32588821832_40d262c868_c.jpg Other color store links: Black marble: https://www.pinkoi.com/product/PA3CSQsZ White marble: https://www.pinkoi.com/product/rxcNThNh Army Blue: https://www.pinkoi.com/product/cibXQjZ2 Khaki: https://www.pinkoi.com/product/KSNHZczp Results: https://www.pinkoi.com/product/v9LzULgJ . . . . . . . . . . . . . . . . . . . . . . . . . . . . . . . . Delivery arrangements: Hong Kong buyers: If the delivery address is a Hong Kong residential, it will be sent by registered post with Hongkong Post; If the delivery address is Hong Kong Industrial and Commercial Area (excluding remote areas) or Hong Kong SF Station, it will be sent by SF Express and will be delivered within 1-2 working days after being sent. Taiwan buyers: It will be sent by SF Express. It will be delivered within 1-2 working days after being sent. In some areas, it takes 0.5-1 working days to get the statute of limitations. You can go to the SF Express website for details. Macau buyers: Will be sent by SF Express, usually sent within 1-2 working days after being sent. Other overseas buyers: Will be sent by registered post by Hongkong Post . . . . . . . . . . . . . . . . . . . . . . . . . . https://c2.staticflickr.com/6/5751/30529541614_de0bc3e973_o.jpg Founded in 2010, ideer is dedicated to designing the highest quality fashion camera bags, laptop bags and digital accessories. We integrate visual aesthetics into our products and hope to bring digital accessories and multi-function bags to a new stage, making them a part of personal apparel, providing practical and stylish digital peripheral products for digital product enthusiasts. We refuse to stick to the rules and strive to create personalized details. Through the embellishment of art, we hope that every design can express the enthusiasm and thoughts we have invested. In addition to design, our products also emphasize quality. From designing products, selecting materials, production processes, quality inspections, packaging, etc., every stage is meticulous. Ideer's products combine functionality and style, providing professional protection while keeping up with the trend to ensure that the product meets the needs of every user. The ideer has been popular since its launch and has been sold through the distribution network to Japan, Macau, Thailand, Malaysia, the Philippines, Taiwan and the United Kingdom.